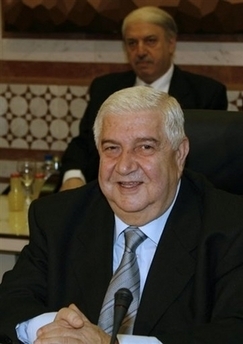 Syrian Foreign Minister Walid Muallem said on Sunday that Damascus was prepared for all scenarios in its worsening relationship with Washington, including the use of US military force. “A prudent person must make all his calculations, especially when we have to deal with an administration which knows how to strike but does not know how to withdraw,” Muallem told reporters at the end of an Arab summit in Damascus. He was referring to Iraq where almost 160,000 American troops are stationed five years after invading the country to overthrow president Saddam Hussein. More than 4,000 US soldiers have died since. Muallem was responding to a question over whether Damascus feared “a US strike against Syria or Iran” if US diplomatic efforts fail to isolate Syria. “We hope that this will not happen. We hope for dialogue and an accord in order to avoid more American destruction to our region, and more deaths to the Americans,” he added. The United States has been trying to isolate Syria which it accuses of backing the Hezbollah militia in Lebanon and radical Palestinian groups. Half of the leaders of the 22-member Arab League, including the heads of state of Saudi Arabia, Egypt and Jordan, boycotted the two-day Damascus summit, blaming Syria for Lebanon’s protracted political crisis. Washington, which also accuses Damascus of meddling in Iraq, had urged its allies to think twice before attending the summit, charges that Syria has been blocking Lebanon’s presidential election.